The training programme comprised an introduction to IIF (Incident and Injury Free), and also to Cleveland Bridge Safety Intervention Initiative. Design and delivery of bespoke training package to familiarise new starters and refresher training for all staff. 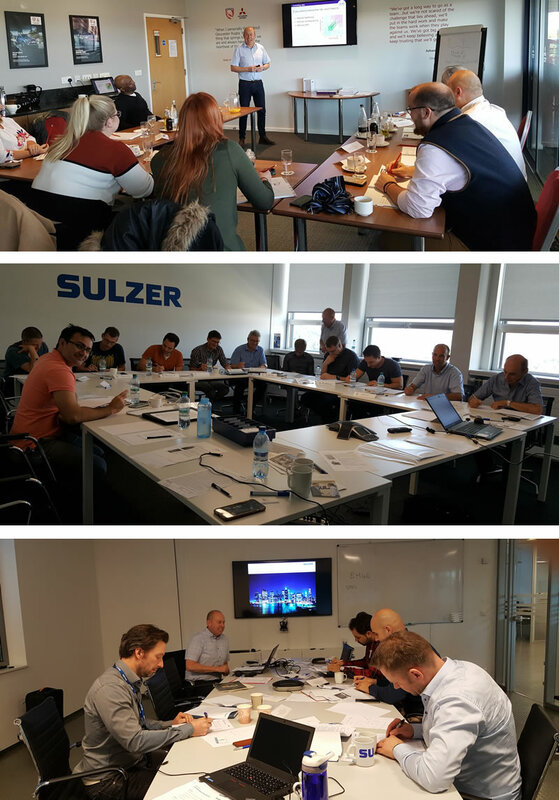 Liaison with Jaipal Singh (QESH Head) Sulzer Tower Field Services, Abu Dhabi and Teesside Operations in order to incorporate internal policies and procedures and documentation within presentation. Not only for delivery in the United Kingdom but Sulzer Headquarters Winterthur, Switzerland, Norway, Holland, Italy etc. General safety awareness training for company SHE Champions, bespoke Risk Management training and Accident Investigation. Incorporating internal policies, procedures and documentation. Followed by a number of IOSH Managing Safely courses aimed at Managers and Team Leaders. 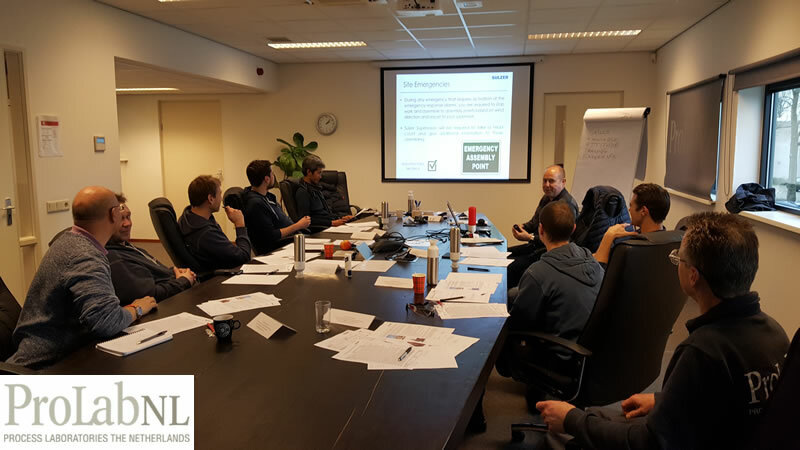 Heerema Fabrication Group - Cygnus Alpha Process & Utilities topside module (4600 tonnes), Cygnus Bravo Wellhead top side module (3,200 tonnes) for GDF Suez E&P UK Ltd.
To train and assess supervisors for a 2000+ workforce in internal systems and procedures concerning Health & Safety and Human Resources Management. Design and delivery of a bespoke coaching and mentoring programme involving a unique "traffic light system" in order to identify individual or collective training needs and make appropriate interventions in order to ensure that all supervisors were trained to an acceptable level. In addition, Lee also provided induction training for directly employed workforce and contractors on site. Morrisons Utility Services - Leading utilities contractor covering gas, water and electricity. To provide Supervisors with an effective means of delivering team briefings as part of a "zero harm campaign". Working with a specialist training provider in order to develop a series of bespoke "toolbox talks" comprising a number of story boards, including liaison concerning graphics, which was subsequently rolled out on a national basis. PD Ports - Key Player in Ports and multimodal Logistics including warehousing and estates management. Familiarisation within internal systems and procedures together with essential safety training across a 1,200 - strong workforce from managers to first line operatives. Delivery and assessment of SPA (Safety Passport Alliance) courses tailored to suit Port and Logistic requirements. Prefere Resins (UK) Ltd - European leader in the production of high performance resins for a variety of industrial applications. To further improve the safety culture of the organisation, a top tier COMAH site, and to familiarise employees with essential knowledge in handling highly hazardous chemicals. Identification and delivery of IOSH Managing Safely course to managerial and supervisory staff. Introduction of bespoke COSHH awareness training to include highly hazardous chemicals. Visiting Poland to deliver Health and Safety Training to Euroraf in Plock, Poland. Special thank you to "the translation people" and my host and assistance as interpreter Krzysztof Beszterda. 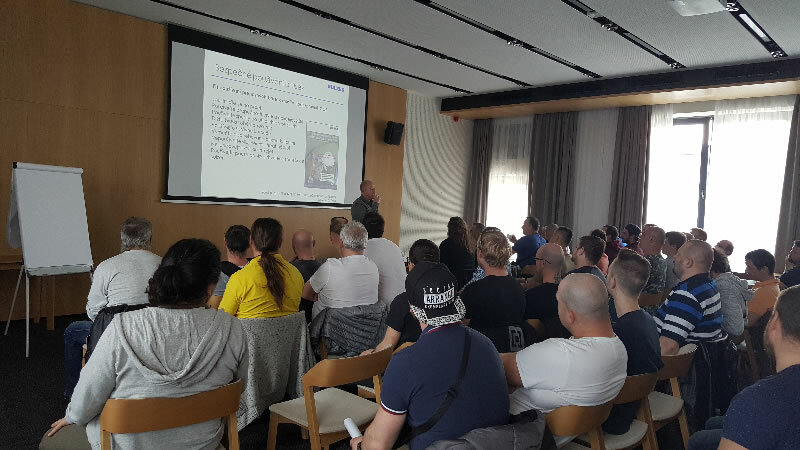 LKHAS safety seminar presented to a multi-disciplinary, multi-national audience at the Hotel Golf conference rooms, Prague. Delegates consisted of 73 mechanical engineers and fabrication personnel from the Czech Republic and Latvia.